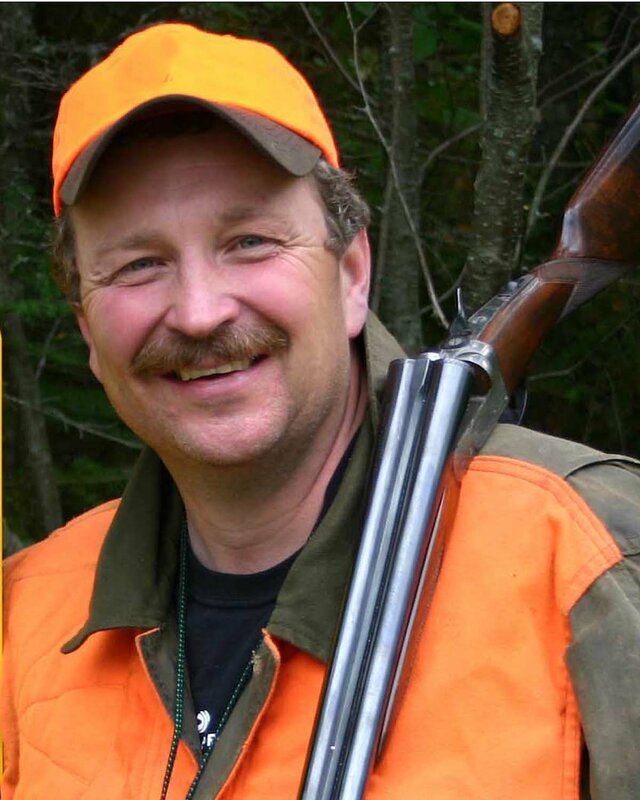 A sighting device on your shotgun promotes greater precision – of the sort you need for shooting a stationary, ground-dwelling target like a deer, a turkey, or – an intruder in the middle of the night. A proper sight picture is the double check you have indeed mounted the gun properly in the pressure-filled moment of truth. Simplicity and speed are the forté of the ghost ring peep sight – at least when it comes to non-optical, non-battery-dependent sights. A ghost ring peep sight is comprised of two parts. 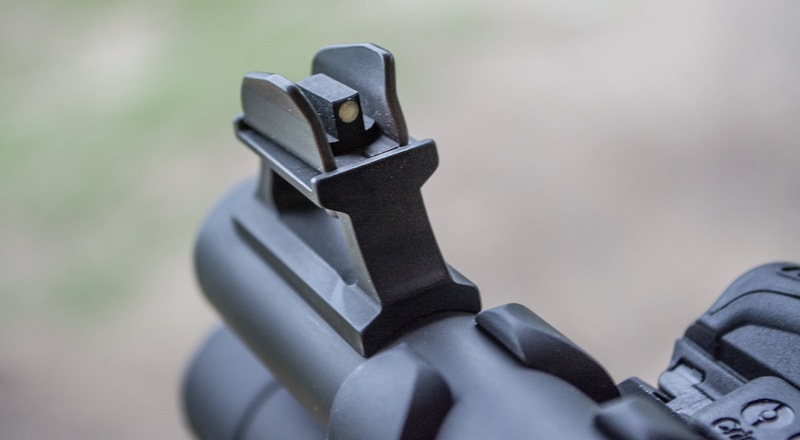 Out at the muzzle of the gun, in the position a front bead sits on a traditional wingshooting shotgun, there is a post sight. It can be fancy with a bead mounted on a sculpted metal tower, or it can be just a squared-off metal post. What’s more, is that this post is as visible as possible to the shooter in all light conditions. Whether it’s an inlaid or painted-on glow-in-the-dark strip or an insert of a bright color or some other device is up to the individual shooter. Just make certain you can see that post! The other half of the sight, which gives it its name, is a large ring rear sight. We’ll get to the “ghost” part of the name in a second. The terms “peep sight” and “aperture sight” are often interchanged. And a “Vernier Sight” was a kind of aperture sight seen on the long-range shooting rifles of the buffalo hunters and made even more famous by the movie “Quigley Down Under.” That big, tall sight on the tang of the rifle, so carefully adjusted by Tom Selleck’s character was a Vernier aperture sight. As Mathew Quigley proved, aperture sights can be incredibly accurate. Even today, Olympic rifle and airgun shooters rely on specialized types of aperture sights to accomplish their uncanny feats of accuracy. In target shooting with peep sights, greater and greater accuracy is possible by going with smaller and smaller apertures – holes – in the back sight. They literally get down to a pinhole-sized – or smaller - opening through which to see your target. However, these types of super-accurate long-range “peep” sights are not simple, and they are not fast. The smaller the aperture, the more difficult it becomes to see the target in low light. The ghost ring peep sight performs the same function but takes the diameter of the opening in the opposite direction. The opening in the center of the ring is often as large as ¼ inch, which promotes speed and seeing the target well even at dawn and dusk – or in the middle of the night in a home defense situation. Even so, the working principle of the ghost ring peep sight and the highly accurate aperture sights is the same. When you mount the rifle and look through the hole, you see the front post clearly and your target at a medium level of focus beyond it. The key to the whole system is that the human eye/brain naturally aligns the top of the post in the center of the circle. So aligned, on a properly sighted-in firearm, you’ll hit whatever target at which you aim for the top of the post. 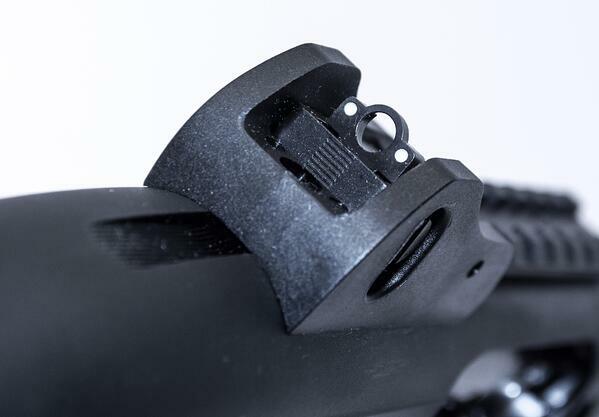 While long-range, super accuracy is the realm of the tiny aperture peep sights, the ghost ring peep can be plenty accurate for rifle shooting out to 100 yards or a bit beyond. The Savage Model 99 deer rifle was often equipped with a folding, large aperture Marble peep sight on the rifle’s tang. Many, many deer fell to that pairing in the 99’s heyday. To this day, the ghost ring peep sight remains a smart choice for turkey hunters and for deer hunters shooting shotgun slugs to 100 yards. They offer enhanced precision without the expense of optical sights or the worry your red dot’s battery will be dead come the moment of truth. Of course, clearly seeing your target, speed of target acquisition, reasonable accuracy at close range, and ultimate reliability are even more important in a shotgun you might have to count on to save your family or yourself. That’s why, even if you have a laser sight on your home defense shotgun, your primary sight system should be a ghost ring peep sight. It’s as bulletproof as a sighting system gets!